Lu's Pool and Spa carries a diverse libe of products from Natural Chemistry. Natural Cheistry is constantly developing thoughtful, sensible solutions that focus both on the environment, the best interests of commerce and the consumer. 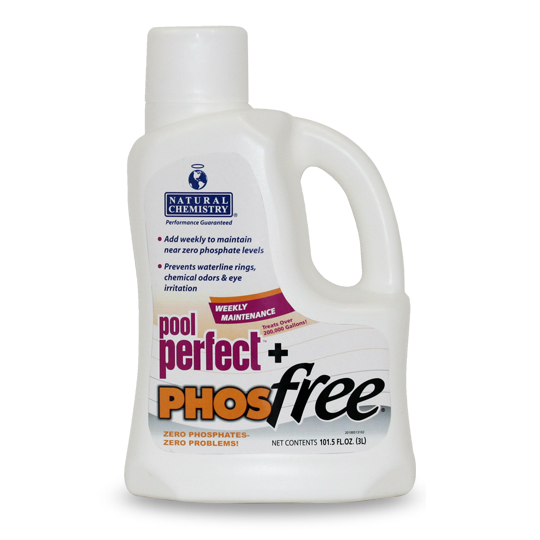 Pool Magic+PHOSfree is ideal to treat your pool at the beginning and end of each season as well as reducing phosphates at any time as the first step of Natural Chemistry's Clear, Perfect Water Program. 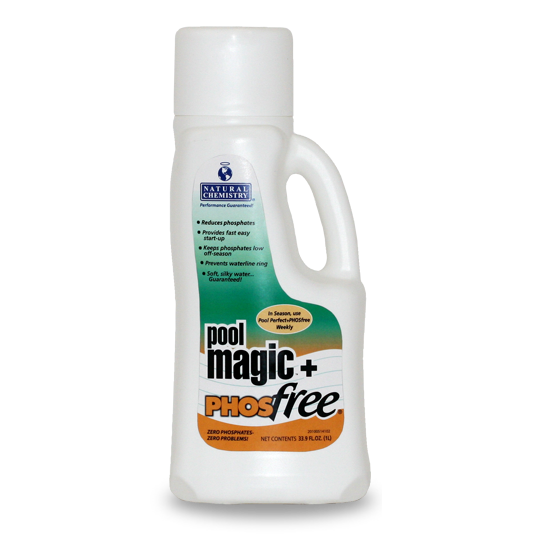 Pool Magic+PHOSfree contains all natural enzymes that break down non-living organics to make opening and closing fast and easy. A quick clean up to start off the season and to prevent non-living organic staining and phosphate build-up. METALfree is a highly effective metal deactivation agent that prevents staining and discoloration from trace metals such as iron and copper. METALfree also prevents scale build-up due to calcium and other minerals. These trace metals and minerals may already be in the pool water or in the fill water. It should be used as part of a well designed weekly pool maintenance program. 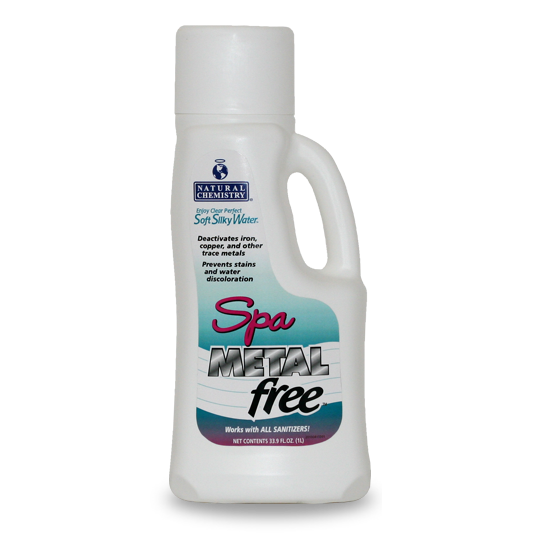 METALfree does not contain phosphonic acids and will NOT raise phosphate levels in pool water. 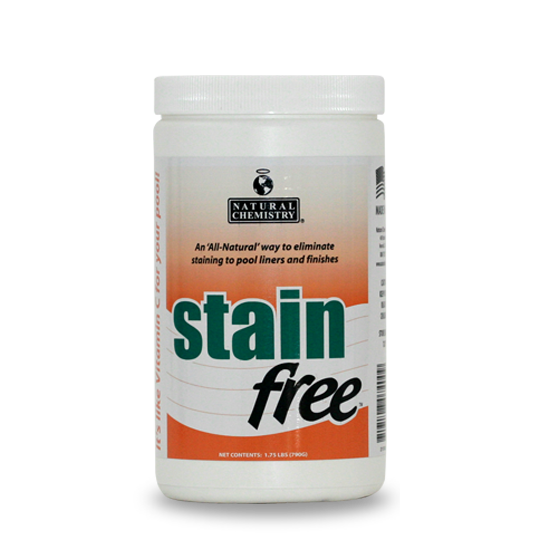 Stainfree is an all natural citric acid product that eliminates metal staining to pool liners and finishes. 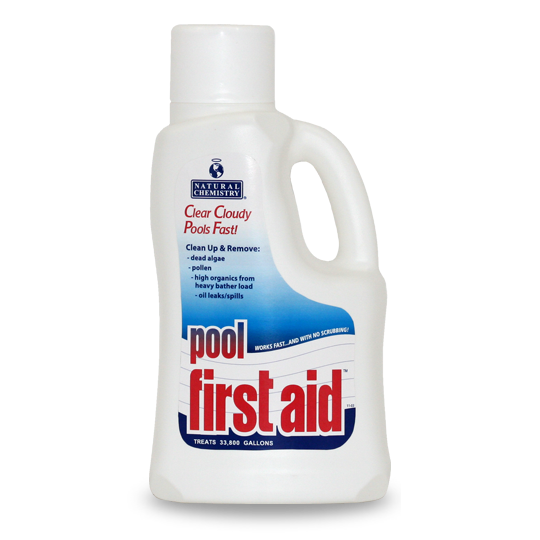 Stainfree is idea for treating staining on all pool surfaces. 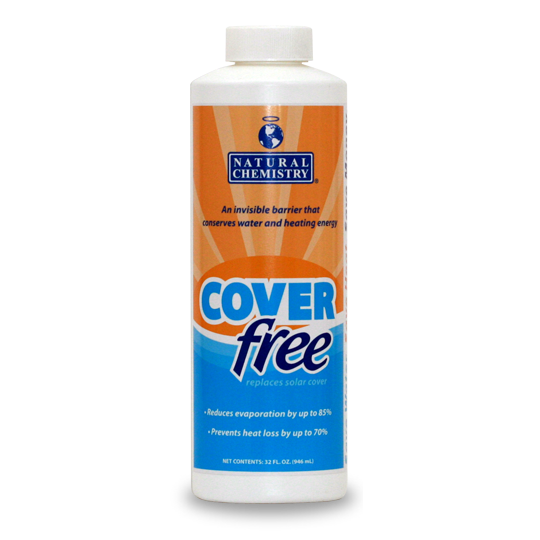 Use Natural Chemistry's METALfree and you have the ultimate 1-2 combination for stain fighting! 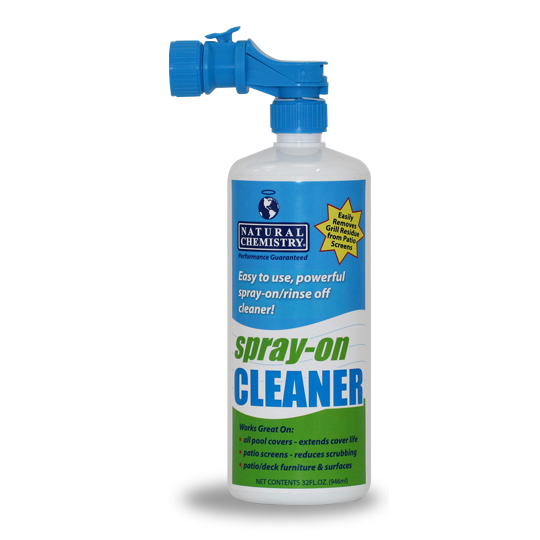 Spray-On Cleaner is a natural, environmentally friendly cleaner. Using the power of enzymes, it breaks down non-living organic contaminants that build up and soil pool covers, patio/lanai screens, patio furniture and surfaces. Saves time and excessive scrubbing! 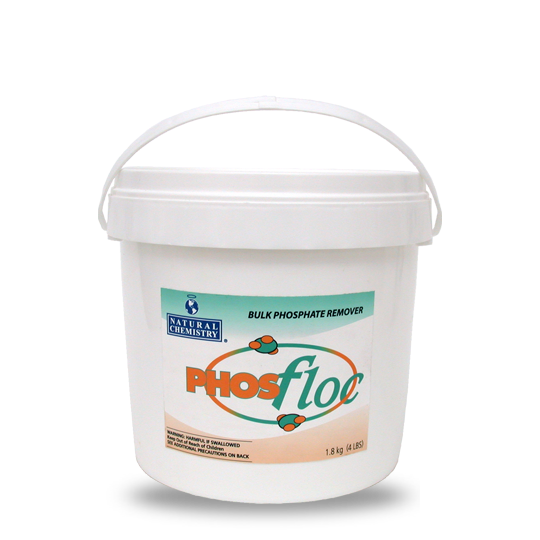 Spay-On Cleaner is not pH sensitive, does not affect pool water pH and does not contain dyes or artificial coloring. 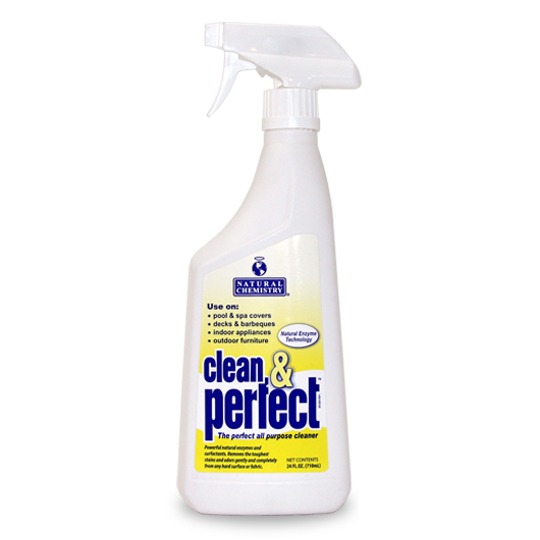 Clean & Perfect is a unique blend of naturally based enzymes and surfactants making it the perfect indoor/outdoor cleaner. It cleans even the toughest grease, dirt, and grime with ease, yet won't harm any hard surface. Spa Perfect is specifically formulated for hot water temperatures and is a patented natural enzyme and botanical extract formula that powerfully, yet gently biodegrades body oils, cosmetics, suntan oils, and other non-living organics. No more waterline rings, clogged filters or cloudy smelly water. 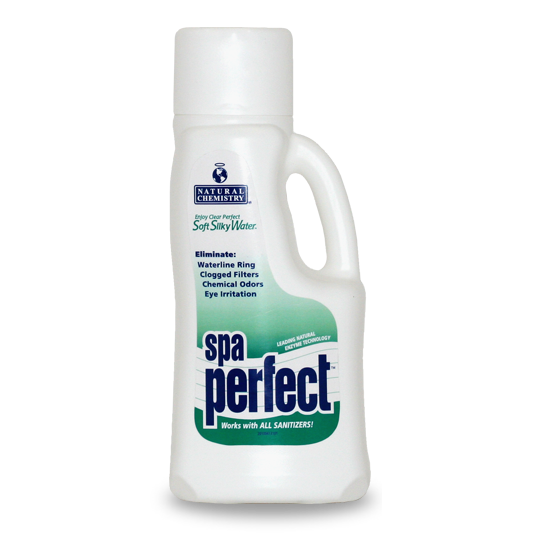 Spa Perfect is also a continuous cartridge filter cleaner. Since oils and non-living organics don't build up, soaking with nasty chemicals and acids is rarely required.